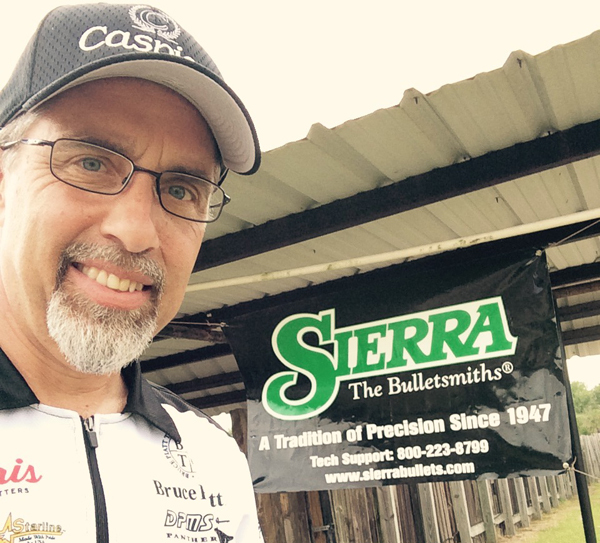 On April 21st I traveled to Lake Charles, Louisiana for the Crawfish Cup, a regional NRA Action Pistol event, which is the same as the upcoming National Championship – “The Bianchi Cup“. 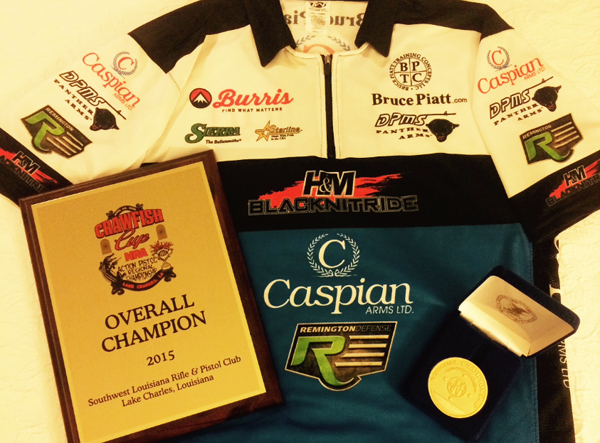 This was my first trip to Lake Charles and my first opportunity to practice prior to The Bianchi Cup in many years. The three days of practice were filled with typical Louisiana hot and humid weather, right up until match day when we were hit with torrential rains. It cleared up by 1:30 – 2pm and we were soon back on schedule. In the end I was victorious shooting a perfect score of 1920 – 176x. Past Bianchi Cup Champions Koenig and Angstadt were both present, along with a couple of other contenders, along with a record attendance for the Crawfish Cup. At the end of the award ceremony, match director George Mowbray approached me and explained that for the past three years, the winner of the Crawfish Cup has gone on to win The Bianchi Cup. I pondered that thought for a moment and told him with a wink, I would do my best to uphold the tradition. Hear an interview with Bruce on NRA Radio Cam & Company on Tuesday, April 28, 2015 at 5:10 p.m EST. This entry was posted in Competitive Shooting and tagged Bianchi Cup, Bianchi Cup Champions, Crawfish Cup, Lake Charles, Louisiana, NRA, NRA Action Pistol, NRA Radio Cam. Bookmark the permalink.